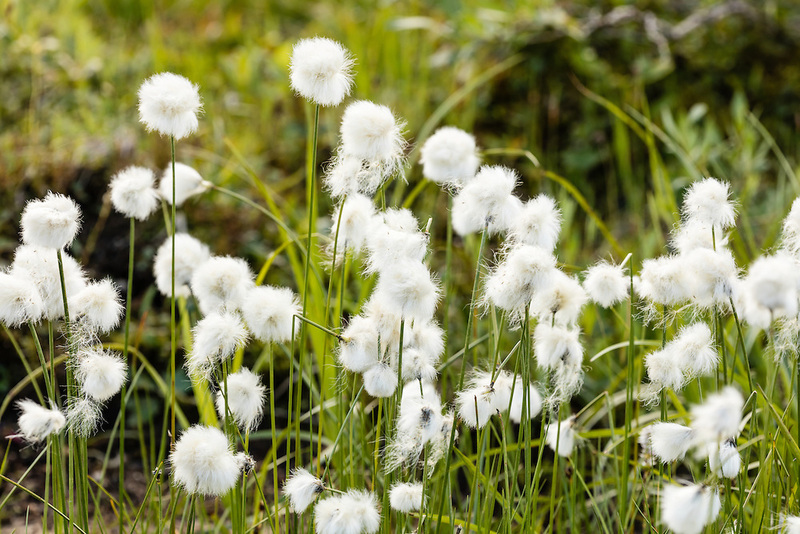 Alaska Cotton Grass (Eriophorum branchyantherum) on Stony Hill in Denali National Park in Southcentral Alaska. Summer. Morning.